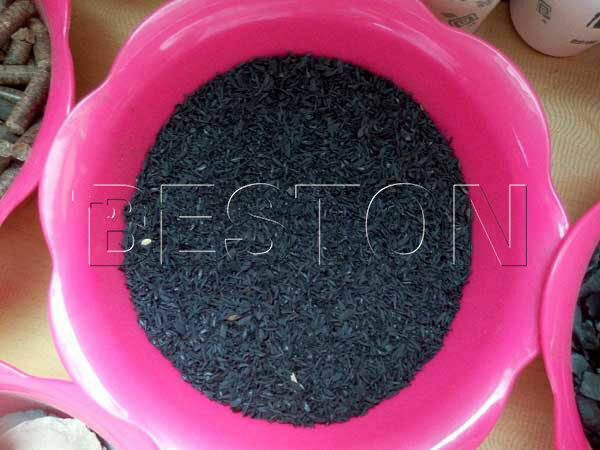 The palm kernel shell itself does not has much value, but the palm kernel shell charcoal is valuable in many areas. You can get the charcoal with palm shell charcoal machine, which adopts the biomass carbonization technology. Using this machine to handle the palm shell waste can not only ease the energy pressure, but can also reduce the air pollution caused by burning those biomass waste. 1. The combustible gas produced during the carbonization process that can heat the reactor after the purification system. So the energy cost is lower than the common charcoal making machine. 2. It works in a continuous way, and thanks to the good quality of the plant,the palm shell charcoal machine can work for 5-8 years if you operate and maintain well. 3. The continuous and fully automatic working method also helps you save labor cost. 4. The security design of the plant is also a unique point of this plant. A. The protecting shell outside of the reactor can protect people from being hurt by the high temperature. B. The over pressure automatic alarm system can ensure that the machine can work in a normal condition. 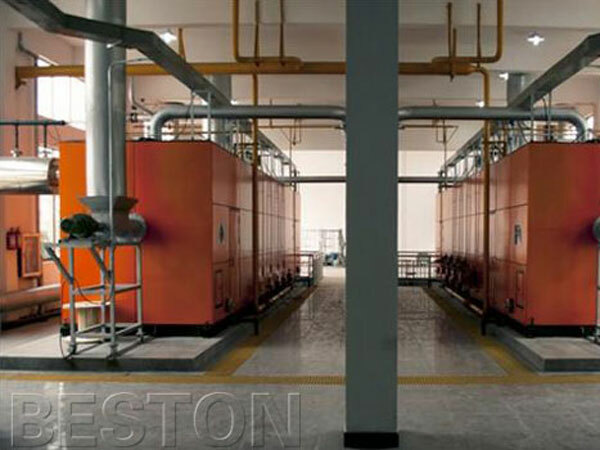 C. The dedusting system and cooling system can make that the plant will not cause air pollution, and the temperature of charcoal is around 30℃. D. The PLC control system is the best monitoring system, and we can equip the machine with them according to the customer’s request. E. The sealing system can thoroughly ensure that the carbonization process is undergoing in an oxygen-free condition. After the palm shell carbonization process, you can get the palm shell charcoal, tar, wood vinegar, combustible gas and so on. Those end products have a wide application. 1. The palm shell charcoal can be used in agriculture, industry and our daily life as fuel. 2. You can process the tar and use it in medicine, synthetic rubber and metallurgical and other fields. 3. As for the wood vinegar, it is a useful chemical raw material, which can be sold directly in the market. It can also dispose other biomass waste, and you can get charcoal from wood chips, coconut shell, waste branches sawdust and so on. Even the municipal solid waste and sewage sludge are also the raw material. 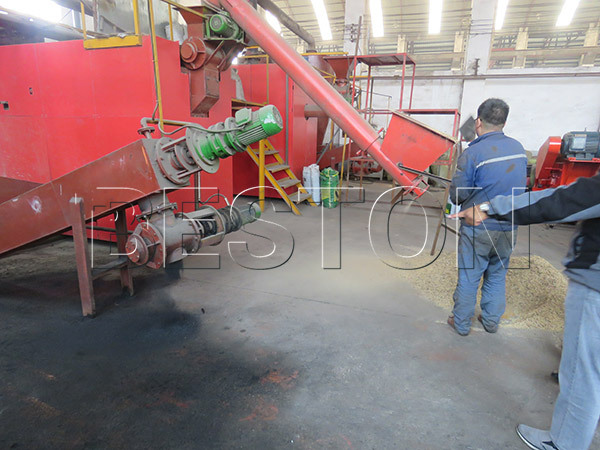 And as a professional waste recycling plant manufacturer and supplier, our biomass carbonization plants have been exported to Malaysia, Vietnam, Australia and other countries. 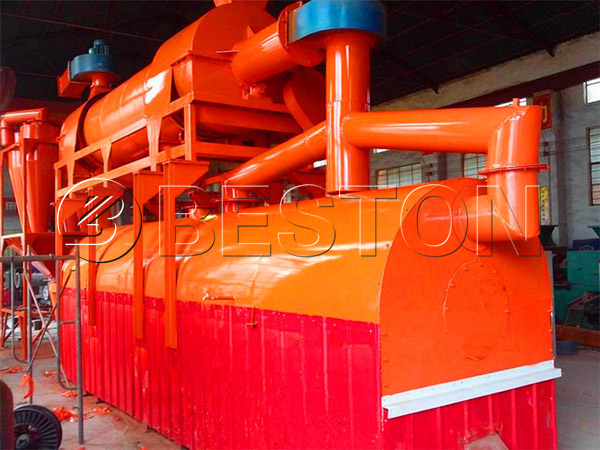 In addition, there are many other details about the machine, such as the water content of the raw material, the size of the raw material and the palm kernel shell charcoal making machine price. So if you want to know more about the plant, send us inquiry right now. We will provide you with all the information that you need.